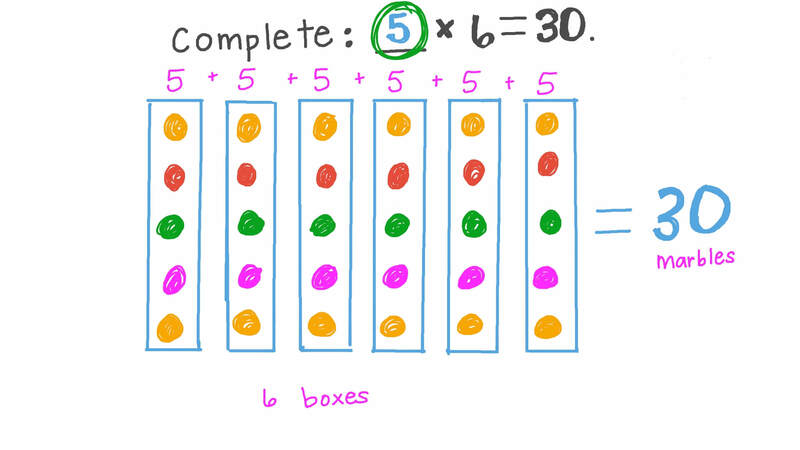 In this lesson, we will learn how to multiply and divide using multiplication tables of numbers up to 10. 5 × 8 = . So, 4 0 ÷ 8 = . Also, 4 0 ÷ 5 = . Nada and Farida were looking through photos from their summer holiday. Farida says, “You have taken 8 times as many as me.” How many photos did Farida take if Nada took ? A fisherman has 10 fish. If he distributes them equally among 2 bowls, how many fish will be in each bowl? Hint: 7 × ? = 6 3 . A piece of land was divided equally among 9 farmers. Given that the area of the land was 81 feddans, find the share of each farmer. A girl at a stable was counting the legs of the horses. She counted 72 legs. Use the division symbol ( ÷ ) to write an expression for the number of horses. A girl has 42 flowers to put into vases. She wants to put 6 flowers in each vase. How many vases does she need?